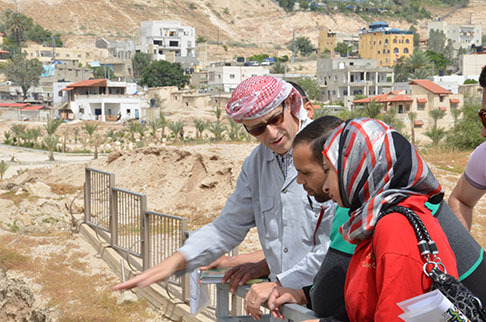 The JOAP is a two years pilot project funded by the Italian Cooperation (Italian Ministry of Foreign Affairs - DGCS) aimed at enhancing sustainable tourism development in the Jericho Oasis carried out by Rome «La Sapienza» University in cooperation with the Ministry of Tourism and Antiquities of the Palestinian National Authority and the Ariha Municipality. The project is addressed to young individuals (graduated or students in Palestinian Universities and/or working in the Municipality or the MoTA) which will be trained in tourist valorization of archaeological heritage and archaeological restoration. These fellows will then cooperate in the rehabilitation and presentation of sites and in the building up of tourist itineraries in the Oasis.